Whether psychic attack or other, we have collated our various techniques for clearing and protection into one eBook. These are techniques that can be applied to yourself, family and even your home for a holistic approach to energy protection. When it comes to the concept of protection, the key question is protection from what? We are multi-dimensional energy beings, and as such we have the potential to be affected by many invisible forces. In fact, we live in a very toxic environment with considerations that go beyond the chemicals in our food to include the basic WiFi in our homes, just as an example. As well as electromagnetic influences, we are constantly surrounded by the energy of love and darker forces at the same time. It's all part of the human existence, and believe it or not, it's actually your choice as to what you allow in. The information in this eBook is designed to offer you the knowledge to protect your self, your family and your home, from those influences surrounding you. Not only psychic or deliberate energy attack, but also other invisible forces that surround all of us. 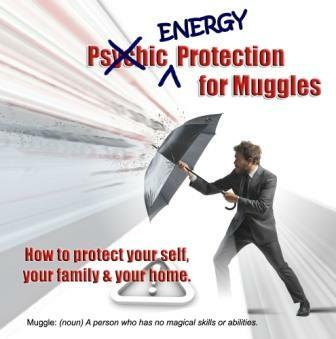 NOTE: This eBook contains the Biofield Energy Balancing Exercise; Triple Energy Protection Technique; Cord Cutting Process; Clearing a Room or Building, including crystal protection, plus additional information in a concise step by step guide.